While it will always be debated whether or not Abner Doubleday “invented” the game of baseball in Elihu Phinney’s cow pasture in Cooperstown, New York in 1839, historical records show that the game was introduced to the Nashville community in 1860. U.S. soldiers played the game in what was known as Sulphur Springs Bottom, about a half mile north of today’s state capitol. Nashville was a charter city when the Southern League was organized in 1885. When the Southern Association was formed in 1901, the field known as Sulphur Dell became the permanent home to the Nashville Vols, who played there for the next 61 years. After a 15-year hiatus, Nashville returned to baseball in 1978 as the Nashville Sounds, a Southern League expansion team and Double-A affiliate of the Cincinnati Reds. The club played their home games at the new Herschel Greer Stadium and the response of the fans was historic. Nashville led the Southern League in attendance in each of the first seven seasons as a member of the circuit. The Sounds would switch affiliations over the years as the Minor League affiliate of the New York Yankees, Detroit Tigers, Cincinnati Reds, Chicago White Sox, Pittsburgh Pirates, Milwaukee Brewers, and, currently, the Oakland Athletics. Fans had the opportunity to watch future Major League MVPs such as Don Mattingly and Willie McGee hone their skills at Greer Stadium while exhibition games with the team’s parent clubs saw the likes of Reggie Jackson, Bucky Dent, Lou Piniella, Bobby Murcer, and many others. The home of the Triple-A Nashville Sounds now is First Tennessee Park, a $47 million facility that opened in 2015 as part of a visionary master plan for Sulphur Dell, the site of the original home of professional baseball in Nashville. With a seating capacity of 10,000, the stadium is part of the 140,000 square foot site that has been integrated into a new mixed-use and residential development that enlivens the downtown district 365 days a year by hosting concerts and community events. The park also sports what is arguably the most iconic scoreboard in all of Minor League Baseball – a guitar shaped videoboard measuring 142 feet long by 55 feet high that reflects Nashville’s rich musical history. 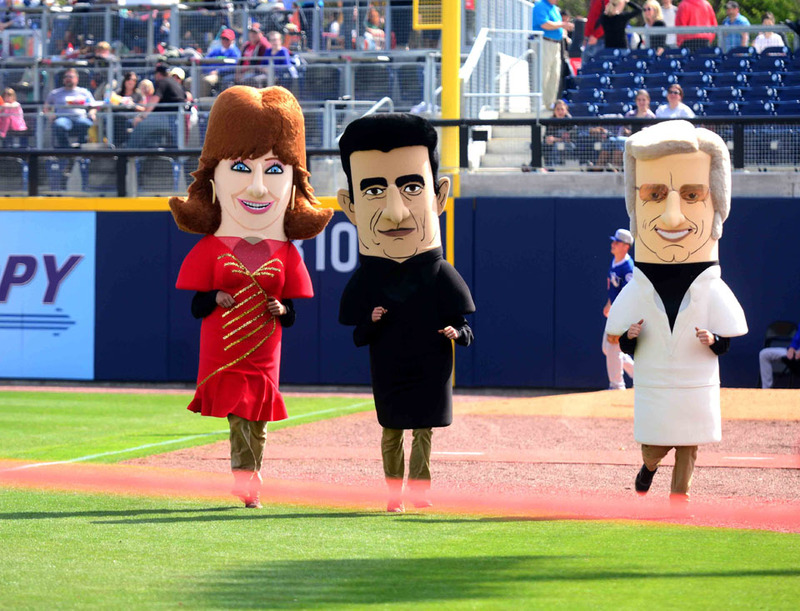 That history is further accentuated with a Country Music Legends Race during each game. The Sounds have won three league championships in their 38-year history. Of the 1,186 players to appear in at least one game for the Nashville Sounds since 1978, over half of them have gone on to play in the Major Leagues and 45 Sounds players have been named to their league’s post-season All-Star unit.